Microsoft introduced a new plugin for WordPress. This plugin lets you use OneNote pages as input for your posts. That’s pretty convenient. You can write and scribble in OneNote every time you want and once you’re finished you can just move that page over to WordPress with a single click. 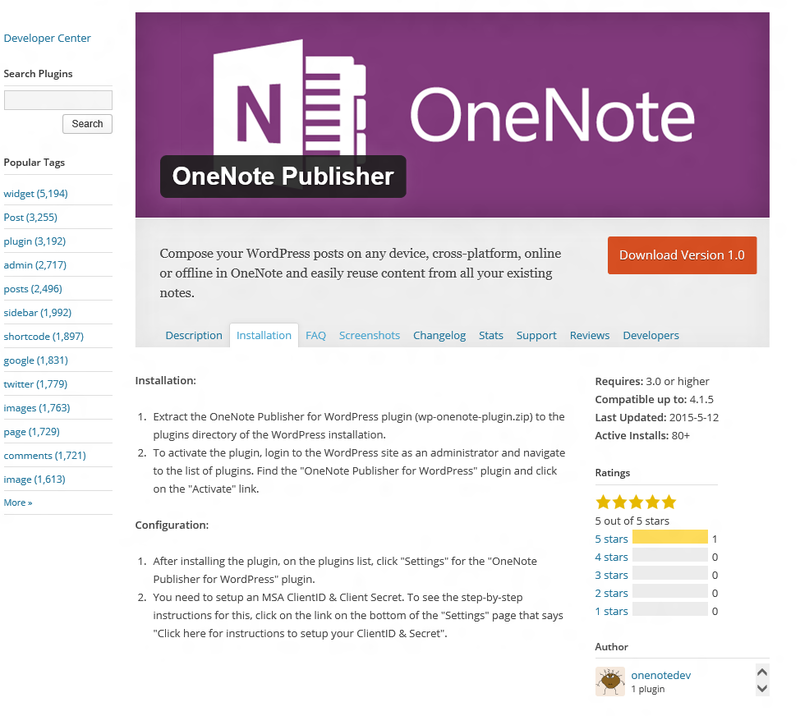 After this you can add a post in WordPress and select one of the pages from OneNote. Pretty cool. This pages was written in OneNote as an example.